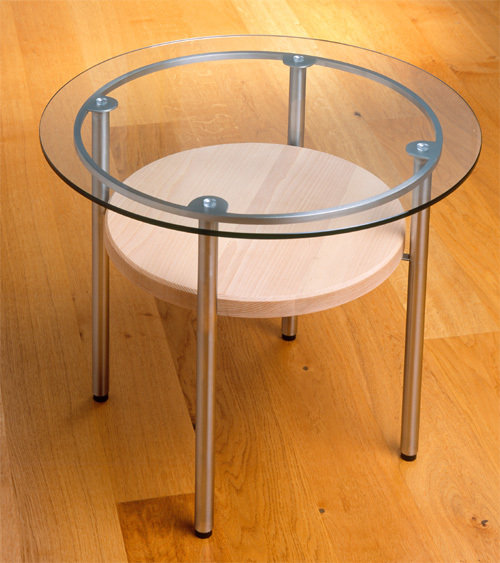 Perhaps you are looking for an elegant and unusual glass coffee table? The warmth of real wood and the cool sophistication of brushed stainless steel has made Argentia, pictured here, one of our most-requested pieces. Alternatively Argentia can be made from mild steel and finished in one of our powdercoat colours including bronze, pewter etc. to suit your decor. See our Finishes page for further details. 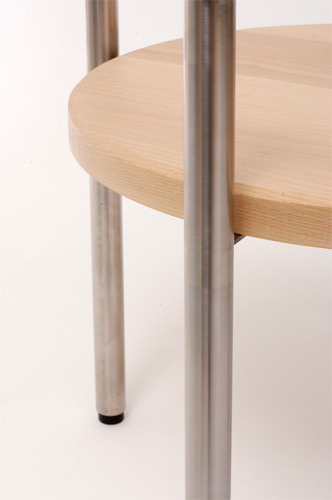 We can also make hall tables to your specifications, in both contemporary and traditional styles. See our Gallery page for inspiration. Featured on this page is Argentia, in brushed stainless steel or mild steel finished in a variety of colours reception/coffee table. 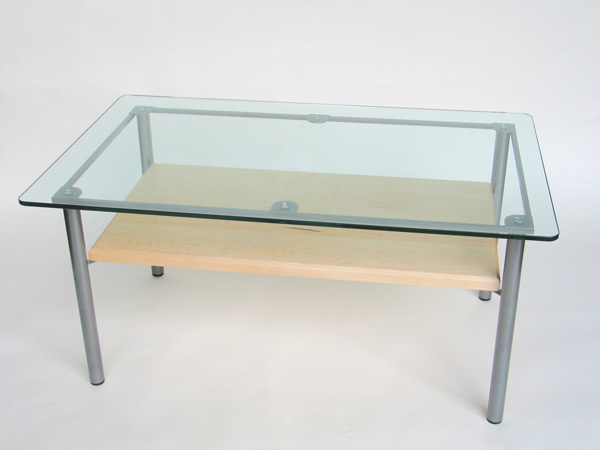 With a toughened glass top and solid wood shelf in a choice of ash, beech, cherry, maple, oak and walnut. A choice of square, rectangular and round tables are available in this style. Click on the images for more details and a larger photo.